Born in St. John’s, Nfld., Paul passed peacefully away in Ontario, having moved there in 1973. Predeceased by his parents Roy and Nina (Blandford) Decker. Left to mourn with fond and loving memories his two daughters Rachel (Donald) and Kathryn (Michael); siblings Rick (Hilda), Judy (Tony), Susanne (Charlie) and Geoff, as well as many nieces, nephews, other relatives and friends. While growing up in St. John’s Paul attended Prince of Wales Collegiate, Memorial University, and worked for 30 years with Air Canada where he had many close friends. Paul was also generous, funny and kind-hearted, loved to play golf and baseball and enjoyed being outside in his garden. He will be deeply missed. 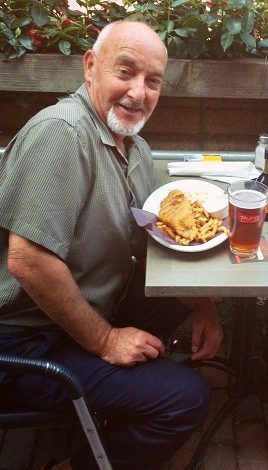 A Service of Remembrance for Paul will be held on Saturday, June 30, 2018 at 11:00 a.m. from the Carnell Memorial Chapel, 329 Freshwater Road, with interment to follow in his parents plot at Mount Pleasant Cemetery. Sending our condolences to Geoff & family. Paul had a quick wit and enjoyed life. Gone to soon. Paul was my friend since high school and I was quite shocked and saddened to hear of his passing. He lived in Calgary for a few years, prior to his recent move back to Toronto. During that time, we played many games of golf and after the rounds, told countless lies over a dark rum and coke. I am sure many of Paul’s fraternity brothers will have a few stories to reminisce about, some of which may be true. Regrettably, I am unable to attend the service. He will be missed.